This skirt is cheaper in store if you can track it down. Well this is a first for me, a beauty post! You may have seen Cliniques latest innovation - Blend It Yourself Pigment Drops. "Transform your favourite moisturiser into a BB, CC or fuller-coverage foundation. One drop of Clinique BIY™ Blend It Yourself Pigment Drops creates sheer cover, and two or three drops creates a flawless finish. Since Clinique BIY takes on the finish of the moisturiser you blend it with, expect a more matte finish with a mattifying moisturiser or a more dewy, radiant finish when blended with a moisturiser that contains optics"
I love Clinique, its one of my go to brands for skincare and make up so I'm always keen to try anything new. The idea of Blend It Yourself is you add between 1 and 3 drops to your moisturiser depending on the coverage you like. Now this sounds like a fantastic idea to me. I'm not a massive fan of foundation especially during the day, added to the fact I'm a bit lazy when it comes to putting make up on every day so this could be the perfect solution. Blend It Yourself costs £25.00 The bottle is fairly small but as you only need a maximum of 3 drops it should last quite a long time. I popped to my local Clinique counter at John Lewis and was coloured matched by a very helpful assistant. I was matched to shade 130, its quite a bronzy shade but I am slightly tanned from our recent holiday so, for me this is a good shade to see me through the summer months. For winter I think I'd need a lighter shade. There are 13 shade to choose from. Whenever possible I like to sample new foundations before buying, and I was fortunate enough to be given a sample to try. I've tried the drops with different moisturisers and you really do get a different finish depending on your moisturiser. One drop gives a very sheer cover, its great for good skin days where you only need a little bit of coverage. Two drops gives a light, almost tinted moisturiser cover, this is my favourite, its not too heavy for daytime but covers any imperfection. Three drops makes your moisturiser more like a traditional foundation and I would use three drops for a night out etc when I like a more "made up" look. The drops would be great for going on holiday, the bottle is small and you wouldn't need to pack extra foundation, plus you can use your SPF moisturiser too, win win. All in all Clinique's Blend It Yourself Pigment Drops are really really good and I will definitely be buying a full size bottle. "Bring me sunshine in your smile" or in my case in my wardrobe! With summer yet to make an appearance yellow is a great way inject some colour in to your wardrobe and it a fabulous summer colour. 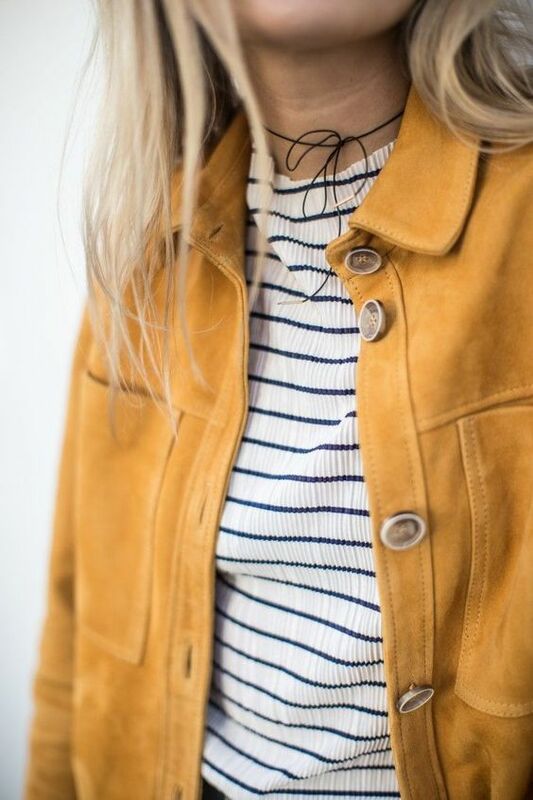 Luckily yellow is huge this year, all of the high street stores have some great pieces at the moment. Now I'll be honest yellow isn't a colour I wear very much. Ive always been a bit nervous of such a bright colour but there are so many different shades you're sure to find a yellow to suit you. Now if wearing yellow isn't for you, why not try a bag or shoes to bring a little sunshine in to your wardrobe. I've seen a couple of gorgeous pieces that may well make it in to my wardrobe over the next few weeks. The first being this gorgeous blazer from River Island. How gorgeous is this? I would wear this with jeans, a cami & bright clashing heels for a night out. Dress it down with trainers & a cool t-shirt for daytime. It would also look great over a dress or white trousers for more dressier occasions. There are so many lovely yellow pieces these are just a few of my favourites. The perfect wedding guest dress. I would be ordering this if I had a wedding to go to. This would be perfect for work and for nights out. Now I couldn't do a post on yellow without showing the instal-famous Zara yellow mules. These are gorgeous and so comfy, and such a great price for leather. I really like this dress and it would be versatile, wear with a leather biker jacket or denim jacket and trainers whilst the weather is still cool. You could throw it over a bikini and it would work for holiday cocktails.